Join us for the second annual Triple Crown - UCCS Camp on Friday, May 17 at Mountain Lion Park on the UCCS Campus. The UCCS coaching staff and players will be holding a 3-hour instructional camp for all players attending The Challenge at Pikes Peak event. All ages are welcome to attend. Players will split up into their respective age groups and work one-on-one with the UCCS coaching staff and players. All aspects of the game will be covered. The camp is limited to the first 150 players. Players must bring their own glove, bat, helmet, shoes or turfs, hat and any other equipment they feel necessary. Catchers will need to bring their own gear. ​After a trip to the RMAC Tournament in the program's inaugural season, University of Colorado-Colorado Springs head coach Dave Hajek returns for his second season in 2018. The Mountain Lions won 22 games in 2017 and tied for fourth in the conference standings. Hajek was hired in November 2015 and spent the 2015-16 season recruiting the first class of student-athletes. 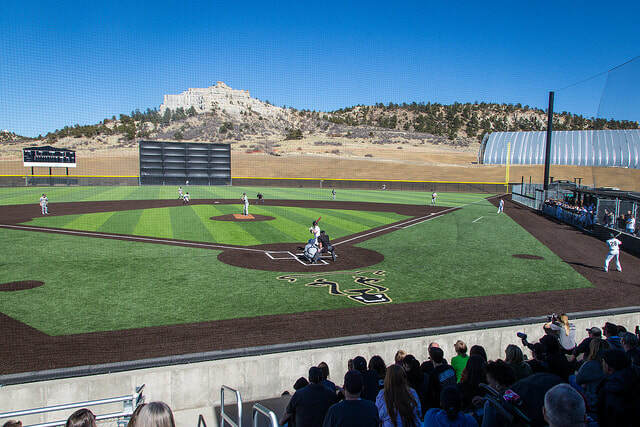 The Mountain Lions compete at their on-campus home, Mountain Lion Park, under the shadow of Pulpit Rock on a site with 360-degree of views of Colorado Springs, Pikes Peak and the Front Range. Hajek played professional baseball for 10 years, including 1995-96 for the Houston Astros as an infielder. He also played within the organizations of the Detroit Tigers, San Diego Padres and Colorado Rockies, ending his career as a member of the Colorado Springs Sky Sox in 1999. He was also a three-time Pacific Coast League All-Star. 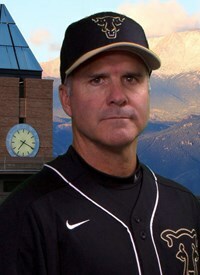 Hajek started coaching in 2004 with the Asheville Tourists, the Class A affiliate of the Rockies. He was a hitting coach for 11 seasons and infield coordinator for one year, which involved working with all Rockies minor league infielders, which included current Rockies Gold Glove infielders Nolan Arenado and DJ LeMahieu. Hajek also has been a private instructor for the last 20 years in Colorado Springs. He has been a featured speaker at the Colorado State High School Baseball Coaches Convention three times and spoke at the European Baseball Coaches Convention in Prague in 2011. Hajek was a two-time Division II All-American at California State Polytechnic University, where he graduated with a degree in architecture.